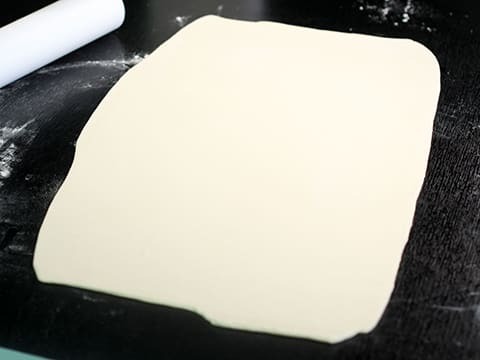 ... into the shape of a rectangle (60 x 30 cm). 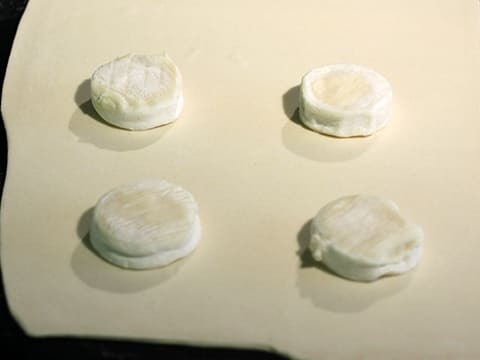 Arrange goat's cheese slices over one half of the puff pastry rectangle (I used Cabécou for this recipe). 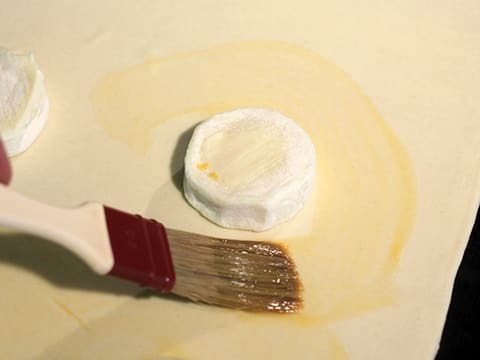 Glaze the pastry with a beaten egg yolk around the slice goat's cheese. 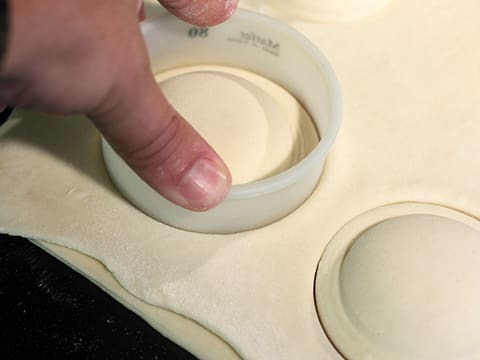 Fold the the other half of the dough over. 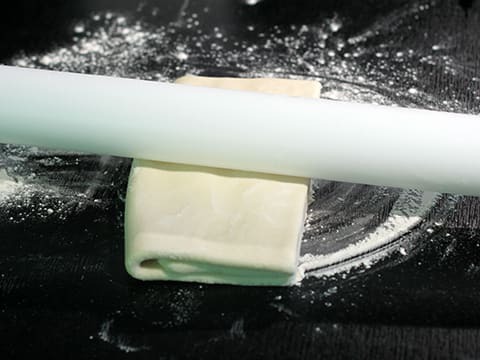 Remove the flour excess with a brush. 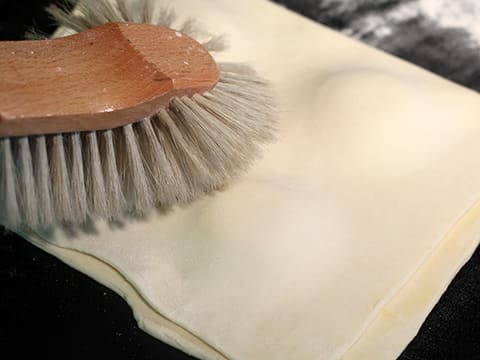 Using a plain pastry cutter with a slightly bigger diameter than the cheese slices, press around the cheese with the flat side of the cutter so both layers of pastry adhere. 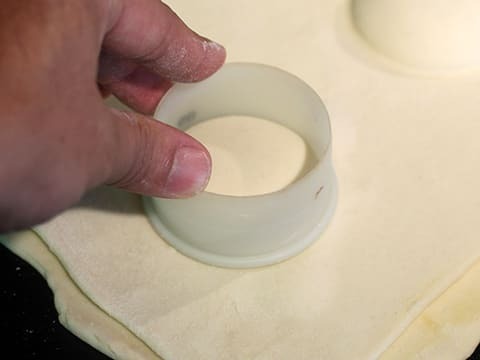 ... then cut a round shape with another cutter (one size up again), using the sharp side this time. 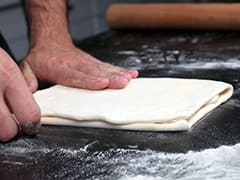 Repeat this operation with all the cheese puffs. 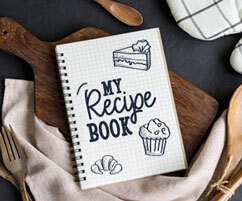 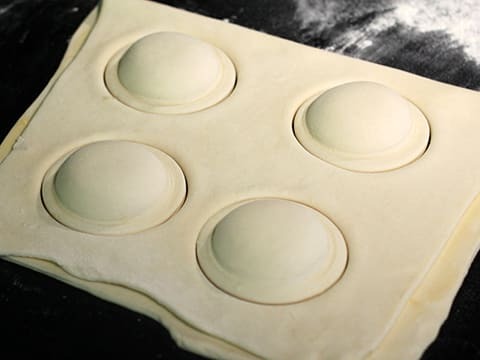 Arrange the round pastry shapes on a Silpat baking mat, placed on top of a Silichef baking sheet. 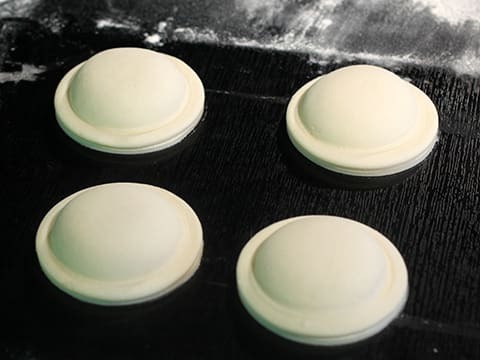 Glaze the surface of each puff with beaten egg yolk. 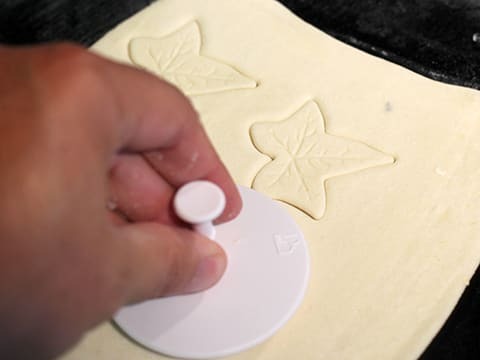 ... cut a few leaf shapes in the pastry scraps. 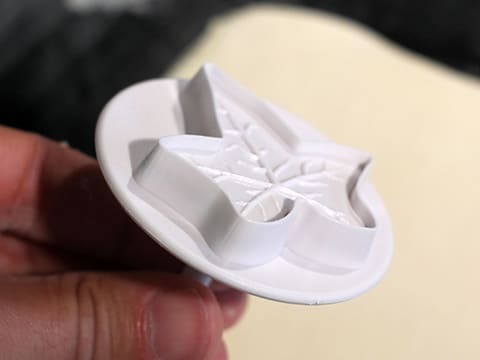 Press on the pastry first, then push on the plunger button to print a veined pattern on the leaves. 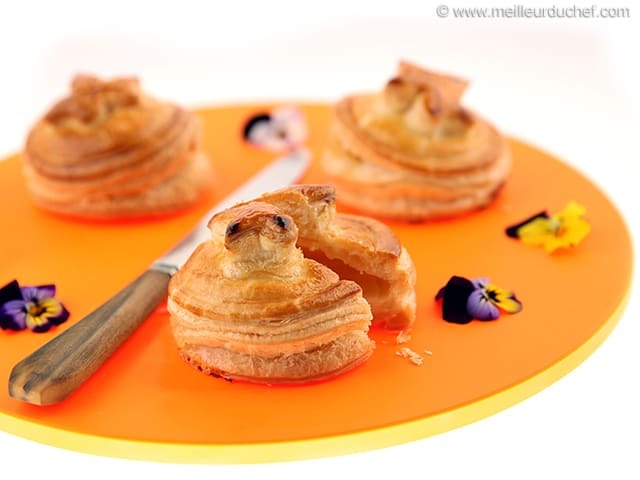 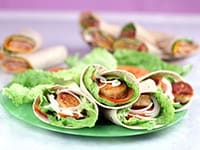 Gently arrange one pastry leaf over one cheese puff. 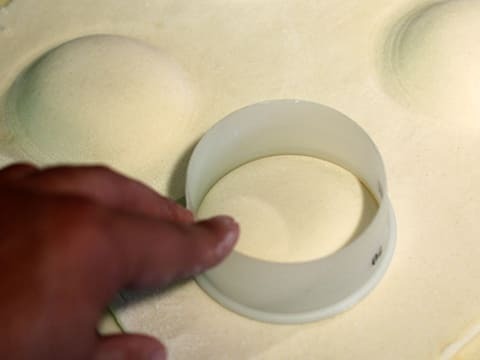 Repeat the operation for all cheese puffs. 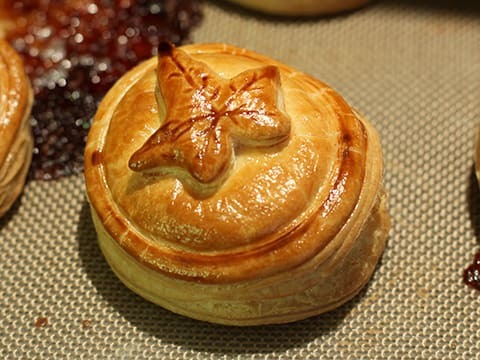 Glaze the pastry leaves with beaten egg yolk. 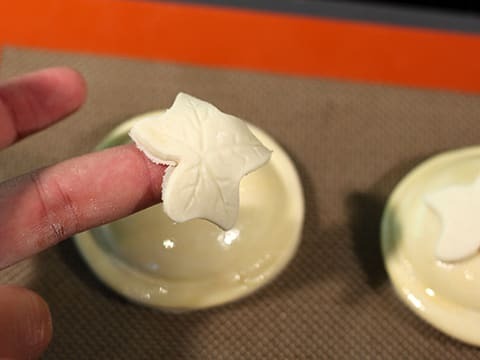 Make sure you do not brush too much glaze on the leaf decorations. 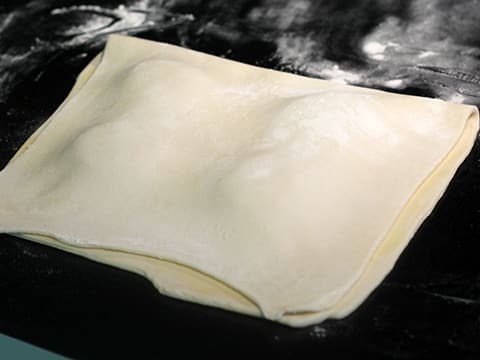 Bake at 200°C (gas 6) for 10-15 minutes. 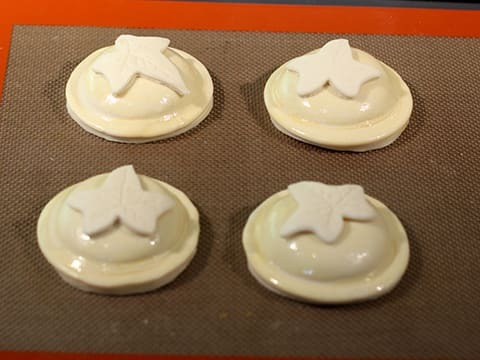 While in the oven, the pastry should puff up and the surface will get a nice golden colour. 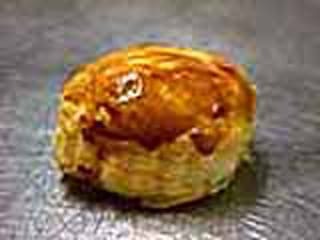 The goats' cheese will melt inside. 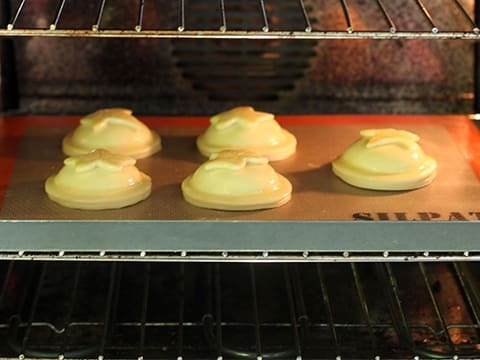 Sealing them properly (steps 4 to 8) will ensure the puffs do not open during baking. 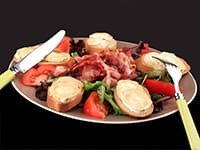 When cooked, remove from the oven and serve immediately. 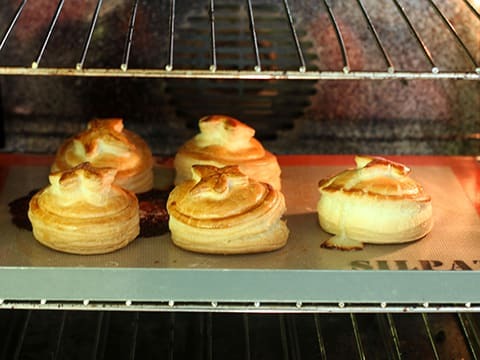 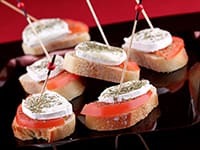 You can prepare these goats' cheese puffs in advance, and reheat them for 10 or 15 minutes at 100°C, just before serving. 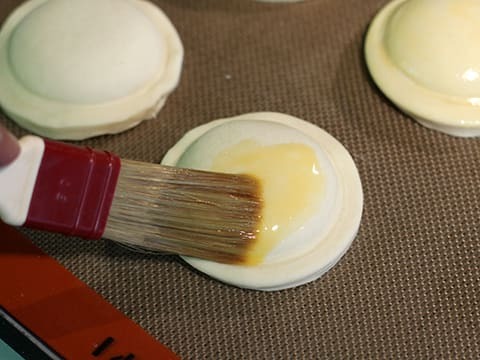 The process of brushing a thin layer of egg wash over a pastry to give it a nice golden colour. 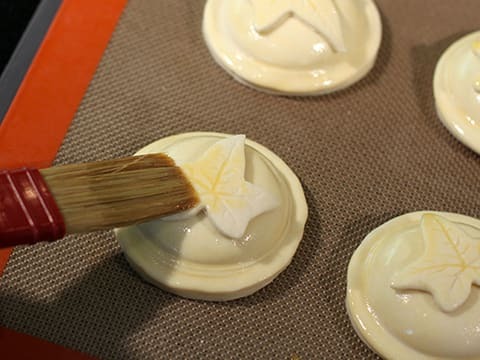 Using a pastry brush, the pastry should be glazed just before baking.